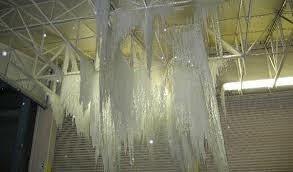 As the temperatures drop, the risk of your fire sprinkler system experiencing a freeze-induced failure increases. The expansion of the freezing water can cause the sprinkler head to activate or a pipe fitting to rupture. Water damage resulting from freeze damage can be extensive and very costly. If you notice any freezing in your system contact a repair specialist, the quicker it can be resolved the less damage there will be.